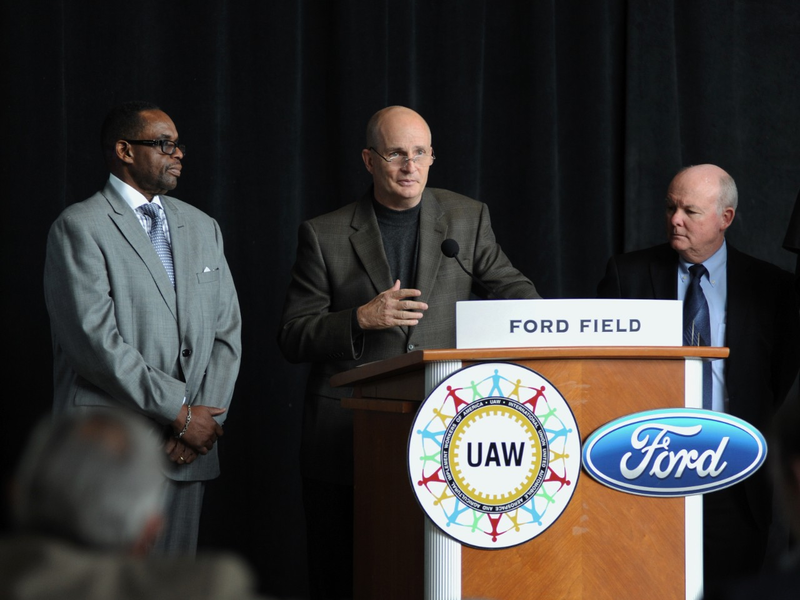 BRIGHTON, Mich. - The UAW and Ford have announced that they will be creating child safety programs in plant communities across the country. To do this, they will be teaming up with the American Football Coaches Association's National Child Identification Program in order to distribute inkless fingerprint ID kits to families in communities where Ford plants are located. These kits are a perfect way to have a set of your child's fingerprints available and ready, should law enforcement need identifying information from you. Should then need this identifying information, you'll be able to quickly give the kit to the police if your child goes missing. These inkless fingerprint ID kits will be given, free of charge, to all UAW-Ford employees. For every kit purchased by UAW-Ford to be handed out to plant employees, the National Child Identification Program will donate a kit. These donated kits will be given to families by the local schools, churches and law enforcement in the communities near Ford plants. The UAW-Ford have already set aside 50,000 kits to be passed out to children in Detroit Public Schools. UAW-Ford has approached all U.S. plants and distribution centers in the U.S. asking them to participate in this great program, and all UAW-Ford facilities have! It is estimated that over 225,000 kits will be distributed through this program this year. These inkless fingerprint ID kits are part of the National Child Identification Program that was created by the American Football Coaches Association (AFCA) in 1997. The AFCA set out with the goal to fingerprint 20 million children in the U.S. but have blown that number out of the water with an impressive 32 million kits that have been distributed both nationally and internationally. If you'd like to learn more about how the UAW and Ford are creating Child Safety Programs in Plant Communities, you can visit the Ford website or stop by our dealership! We would be more than happy to help you find an ID kit for your own child, or even help you into a vehicle that has safety features designed to keep you and your family safe during your travels. Our friendly and knowledgeable sales team has all the vehicle-related car information you could possibly need, everything from Used Car Loans to Ford Early Bird Lease Program to buying a Certified Preowned Car!